Come on out to the Community Renaissance Market Place! Lots of room for FREE PARKING and located at 6800 West Gate Blvd. Austin, TX 78745. Market is opn from 10am-8pm. This is where Austin's only Steampunk Shop, The Mysterium, is located. Mark your calendars! Last year this was a great event that even got the radio and TV stations involved. 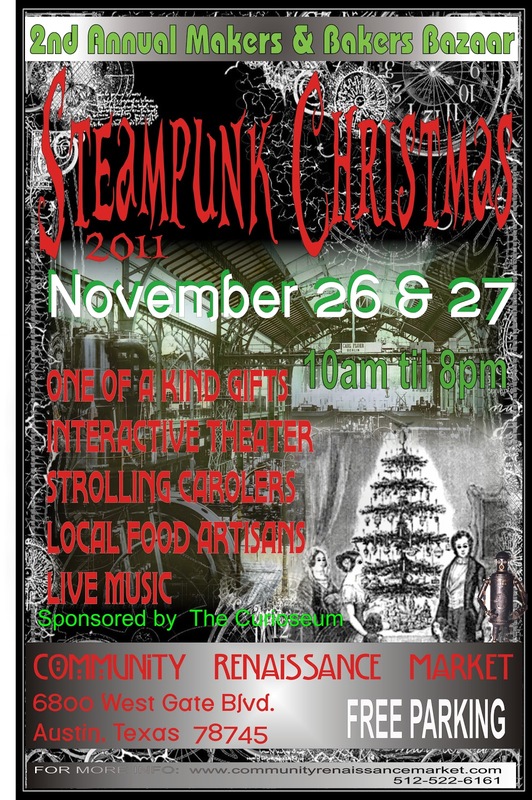 Help build this event and draw even more attention to Austin's Steampunk Scene!